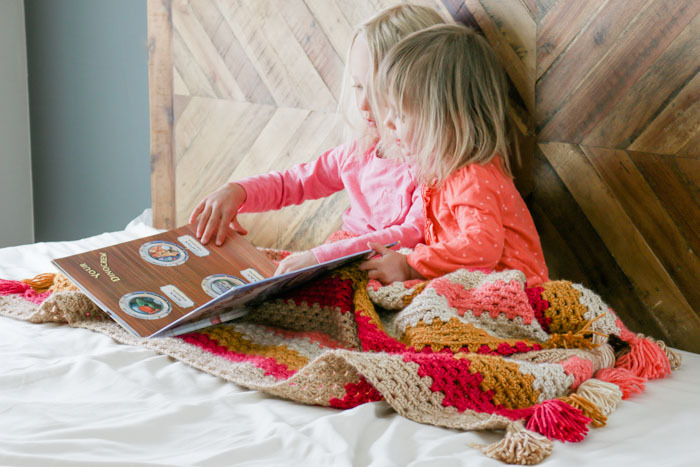 This modern crochet granny stitch blanket uses bold stripes and cheerful tassels to create a look that’s perfect for kids’ rooms and living rooms alike. Get the free pattern below or purchase the ad-free, printable PDF for $2.75 here. This pattern is part of a collaboration with my friends at Lion Brand Yarns. This post contains affiliate links. If you’ve ever crocheted a granny square you know that it’s super fast because you don’t have to look for the precise stitch to stick your hook in for each stitch. Instead, you just jab it in the general direction of the space between the clusters and you’re off to the races. Well, I’d venture to say that crochet granny stripes are even faster and simpler than a basic granny square because you don’t have remember to increase, join rounds or do anything but whiz across the rows. 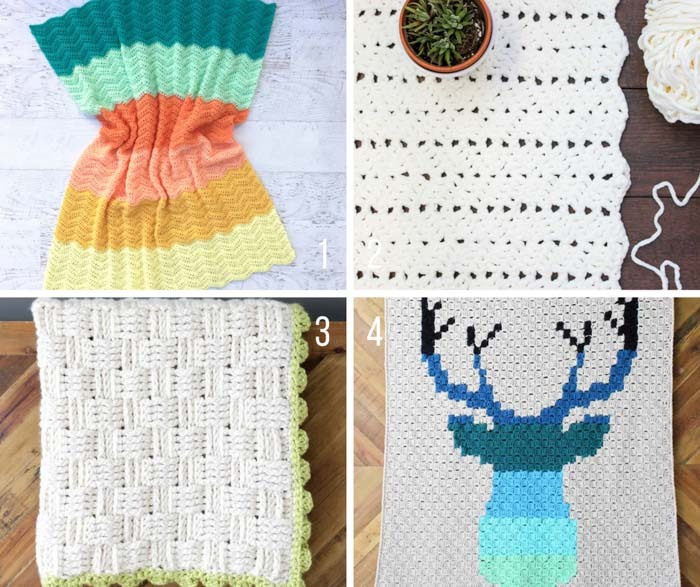 I’ve designed a few other free crochet patterns using the granny stitch that you might enjoy too! You can see them all here. 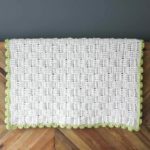 This modern granny stitch blanket uses one of my favorite worsted weight options from Lion Brand called Heartland yarn. This is the same yarn I used in the Habitat Cardigan and it’s perfect for everything from garments to baby blankets because it’s super soft, drapey and comes in SO many great colors. To make things extra convenient, Lion Brand has put together a kit for us. This kit includes all the yarn you’ll need, plus a printed copy of the pattern. You can choose between a blue or a pink color palette, depending on the lucky recipient. See the color options here! Speaking of colors, I think this palette is well-suited to a baby girl’s nursery or fun, playful adult room, but the pattern would work equally well in neutrals or a more baby boy geared color scheme. 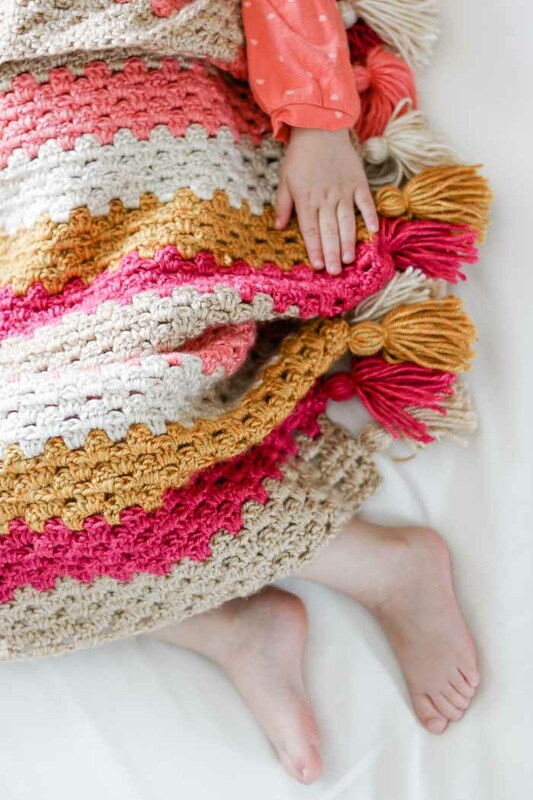 If you plan to make this granny stitch blanket for a small baby, you might decide to leave the tassels off to keep it as safe as possible. While they’re pretty secure once attached (and so fun for toddlers to play with! ), I think the tassels are best suited for children 3-years-old and up. This is a beginner-friendly crochet afghan! My sister, Mich, has been on a crash course in crochet this past year and I’m so proud of how she finished this afghan after putting it aside for several months. (In the meantime, she made the Staycation Cardigan, which shows you how much she’s learned on her crochet journey!) 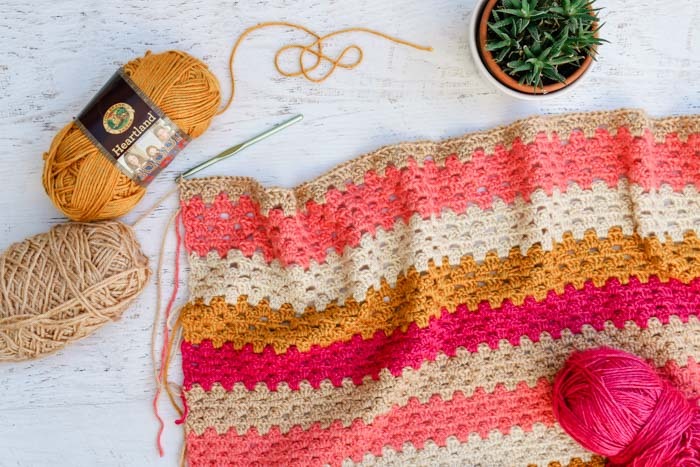 If you’ve never crocheted a blanket before, this granny stripes are a great way to dip your toe in the water in a manageable and rewarding way. You can see all my other free crochet blanket patterns here. I’d love to see your interpretation of this pattern–tag me on Instagram (@makeanddocrew) and use #makeanddocrew to show off your stitches! Purchase the ad-free printable, PDF for $2.75 here. Pin it to make later here. 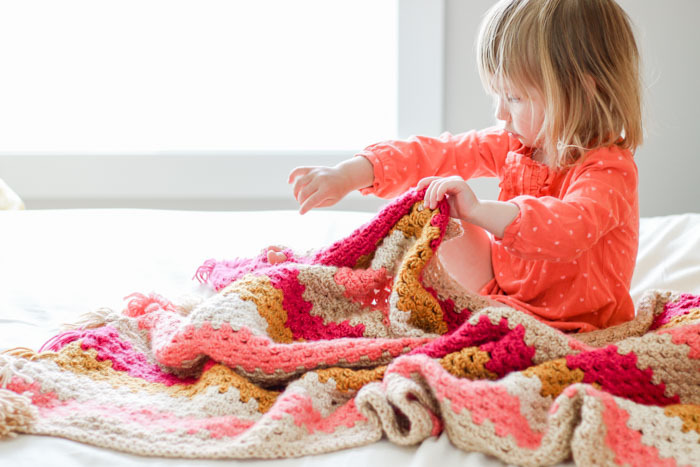 Modernize a classic crochet staple with this super easy granny stitch blanket. 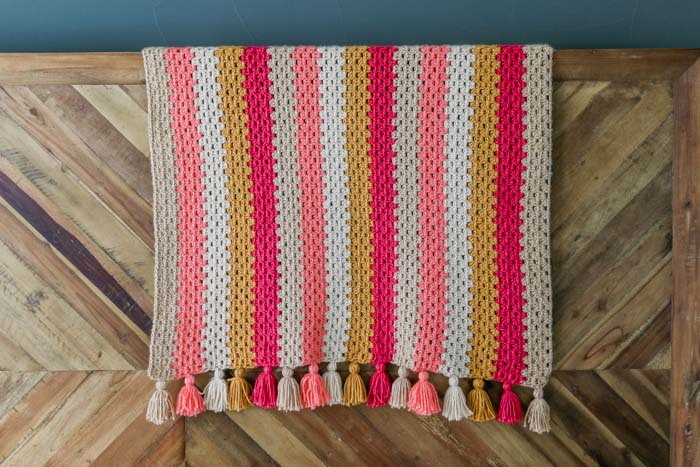 Add some tassels to emphasize the playful color palette and you’ll have the perfect blanket for the coolest kiddo in your life. Or choose neutral colors for a granny stitch couch throw that will stand the test of time. 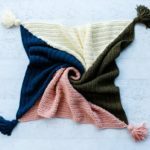 Either way, this blanket pattern comes together quickly and easily, making it wonderful for confident beginners or advanced crocheters looking for a good Netflix project. See “notes” below to learn how simple it is to customize the blanket size to suit your needs. Buy a kit with all the yarn you’ll need, plus a printed copy of the pattern here. • This pattern is very easy to adjust the size. Simply begin with a chain that is a multiple of 3 stitches. Then add 2 more stitches to the chain. • To change colors at the end of the row, complete the final yo of the last dc of the row with the new color. Pattern is written with the assumption that the last dc before a color change will be worked this way. • Whenever possible, crochet over yarn tails after switching colors to avoid needing to weave them in at the end. • The ch 3 at the beginning of a row always counts as a dc. Foundation Row: With color A, loosely ch 137. From now on, all dc clusters are worked into the spaces between the clusters of the previous row. Rep Rows 2 and 3, working a total of 5 rows in each of 5 colors. (Foundation row doesn’t count as a row in the first stripe of color.) Repeat full 5 color sequence twice more for a total of  5-row sections of each color. Work 5 more rows in Color A to finish blanket. 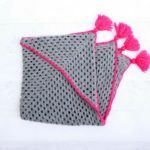 • If you’re making this blanket for a small baby, you may choose to leave the tassels off for safety reasons. The tassels should be fairly secure when attached as described, but I suggest they’re saved for children 3-years-old and up. Use the tails from the first 10” piece of yarn to tie the tassel on to the middle (3rd) row the appropriate afghan stripe. Weave in remaining ends. 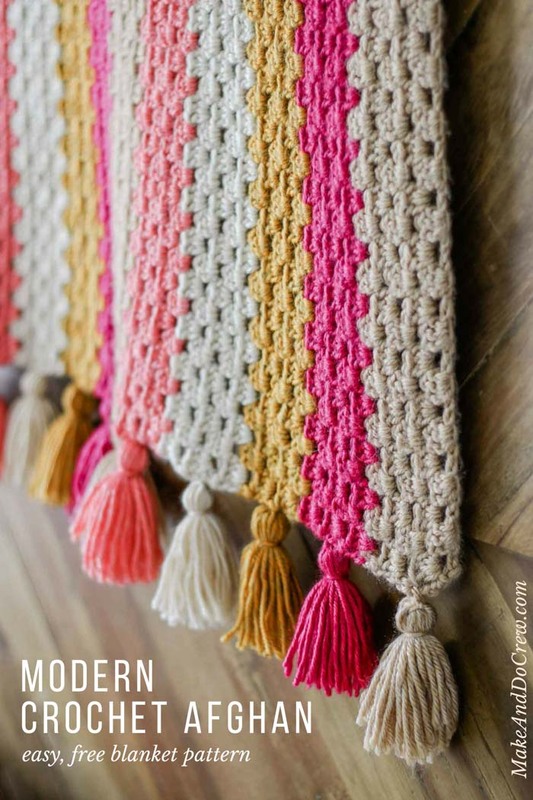 In order to make tassels that coordinate with each stripe, make the quantities of tassels in each color listed below. 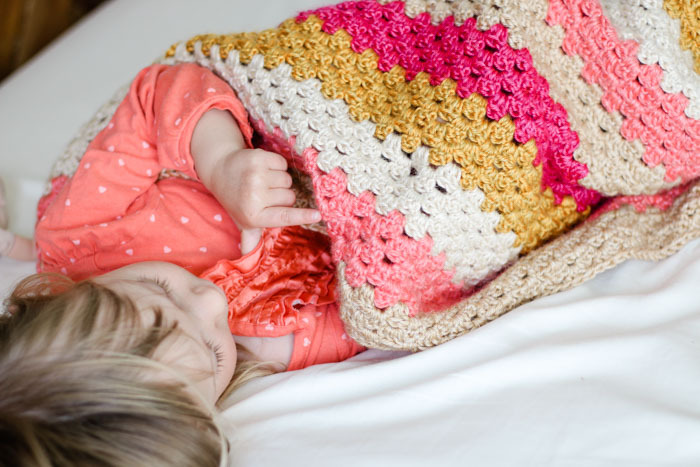 Now that you’ve finished this modern crochet blanket pattern, you might enjoy these free afghan patterns as well! 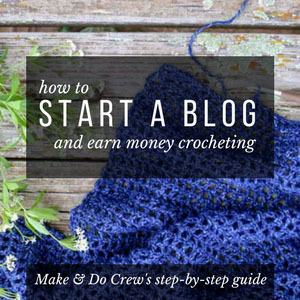 WANT MORE FREE MODERN CROCHET PATTERNS? 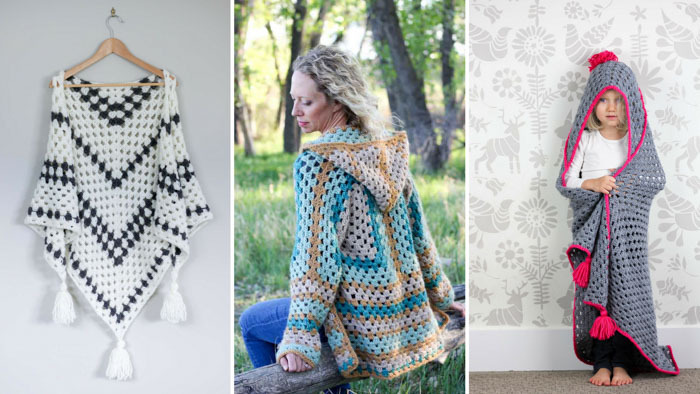 « Poncho-Style Summer Crochet Top – Free Pattern! Just finishing up my 2nd Desert Triangle scarf. I absolutely love your patterns and video tutorials! I’m excited to try this blanket. Thanks for yet another great pattern. Thanks so much, Jen. I’m so happy to hear you’ve enjoyed the Desert Winds pattern. I love satisfying little projects like that. I hope you have fun with this blanket pattern too!